Cruises.com.au's no obligation reservation policy allows you to hold a cabin without payment. J4 Junior Suite with Balcony Sold Out. 2C Ocean View with Large Balcony (Possible Obstruction) Sold Out. 2D Oceanview Balcony Sold Out. 2E Oceanview Balcony (Obstructed) Sold Out. 4C Oceanview Large Balcony Sold Out. 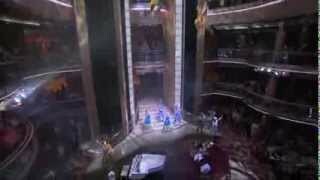 4D Oceanview Balcony Sold Out. 6D Oceanview Balcony Sold Out. 8D Oceanview Balcony Sold Out. XB Oceanview Balcony (Guaranteed) Sold Out. 2M Spacious Ocean View Sold Out. 2N Oceanview (Window) Sold Out. YO Oceanview Stateroom (Guaranteed) Sold Out. 2W Studio Interior Sold Out. 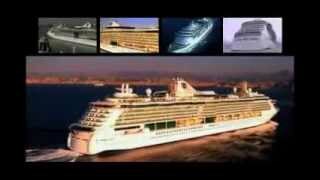 2U Interior Stateroom with Virtual Balcony Sold Out. 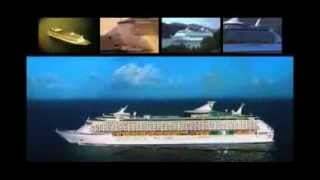 4U Interior Stateroom with Virtual Balcony Sold Out. GB Grand Suite with Balcony Not Available. GL Grand Loft Suite with Balcony Not Available. GS Grand Suite with Balcony Not Available. GT Grand Suite - 2 Bedroom's Not Available. J1 Junior Suite with Balcony Not Available. J3 Junior Suite with Balcony Not Available. J4 Junior Suite with Balcony Not Available. OL Owner's Loft Suite with Balcony Not Available. OS Owners Suite With Balcony Not Available. SL Sky Loft Suite with Balcony Not Available. 1C Oceanview Large Balcony Not Available. 1D Oceanview Balcony Not Available. 1E Oceanview Balcony (Obstructed) Not Available. 2C Ocean View with Large Balcony (Possible Obstruction) Not Available. 2D Oceanview Balcony Not Available. 2E Oceanview Balcony (Obstructed) Not Available. 3D Oceanview Balcony Not Available. 4C Oceanview Large Balcony Not Available. 4D Oceanview Balcony Not Available. 5D Oceanview Balcony Not Available. 6D Oceanview Balcony Not Available. 7D Oceanview Balcony Not Available. 8D Oceanview Balcony Not Available. XB Oceanview Balcony (Guaranteed) Not Available. 1N Oceanview (Window) Not Available. 2M Spacious Ocean View Not Available. 2N Oceanview (Window) Not Available. YO Oceanview Stateroom (Guaranteed) Not Available. 2W Studio Interior Not Available. 2U Interior Stateroom with Virtual Balcony Not Available. 4U Interior Stateroom with Virtual Balcony Not Available. One bedroom, two bathrooms, sleeps up to 4. Two-deck-high stateroom with panoramic views. On main level, open living/dining room with sofa that converts to double bed. Full bathroom with shower. Private balcony with dining area. On the second level, a master bedroom with two twin beds that convert to a Royal King, measuring 184 cm (72.5 inches) wide by 208 cm (82 inches) long and a private bathroom with shower and sink. One bedroom, two bathrooms, sleeps up to 4. Two-deck-high stateroom with panoramic views. On main level, open living/dining room with sofa that converts to double bed. Split bathroom setup with shower and sink in one bathroom, toilet and sink in the other. Private balcony with dining area. On the second level, a master bedroom with two twin beds that convert to a Royal King, measuring 184 cm (72.5 inches) wide by 208 cm (82 inches) long, private bath with shower and sink and private balcony. Bedroom area with two twin beds that convert to a Royal King, measuring 184 cm (72.5 inches) wide by 208 cm (82 inches) long. Full bathroom with a bath tub and two sinks. Separate half bathroom. Marble entry, large wardrobes, living area with dining table and sofa that converts to double bed. Wrap around private balcony with seating area and private outdoor dining. Sleeps up to 4. Bedroom area with two twin beds that convert to a Royal King, measuring 184 cm (72.5 inches) wide by 208 cm (82 inches) long and separate dressing area with entrance to bathroom. Full bathroom with bath tub, two sinks and second entrance that opens to living room. Living room with sofa that converts to double bed, entertainment centre and writing desk. Private balcony with seating area and private dining. Sleeps up to 4. Two twin beds that convert into a Royal King, measuring 184 cm (72.5 inches) wide by 208 cm (82 inches) long with open bed frame. Automatic wider entry door, turning spaces, private balcony, sitting area with lowered dressing table, wardrobe rails and safe, and a private bathroom with a wider door, accessible bathtub, roll-in shower, grab bars, fold-down shower bench, hand-held shower head, raised toilet and a lowered sink. Two twin beds that convert to Royal King, measuring 184 cm (72.5 inches) wide by 208 cm (82 inches) long, sitting area with sofa, full bathroom and private balcony. Interior Stateroom with a Virtual Balcony, a high-definition screen that spans nearly floor to ceiling, providing real-time views of the ocean and destinations. Two twin beds that convert to a Royal King, measuring 184 cm (72.5 inches) wide by 208 cm (82 inches) long, sitting area with sofa and full bathroom. Skydiving is definitely not for everyone. For some, the thought is enough to send shivers up their spines. Doubtless, though, that the idea of flying has captured their imagination a time or two. So what if you could experience flight without the inherent dangers? And what if you could do it in the middle of the ocean? 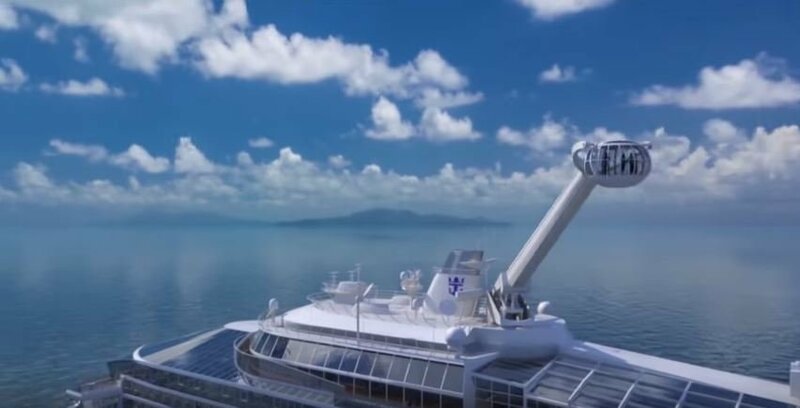 Might sound crazy, but aboard Ovation of the Seas, the next cruise ship by Royal Caribbean, that is a possibility. One of their newest attractions, RipCord by iFly, uses wind tunnel technology in a glass flight chamber to create a realistic skydiving experience that allows even those with no previous training to feel the adrenaline rush of free flight. 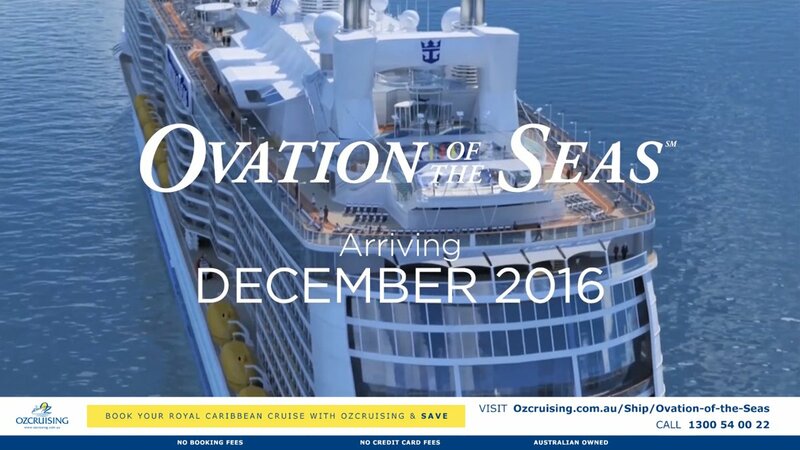 It’s a first for Royal and the entire cruising industry. RipCord is a totally controlled environment – trained instructors are with you the whole time – where the bold and the timid can experience what it feels like to soar 10,000 feet in the air without having to jump out of a plane. Before you get to fly you have to take a training course that teaches correct body position and hand signals, and then get suited up in all necessary gear. Instructors then accompany student flyers on two, one-minute flights – one practice flight and one free-style flight. Thanks to the glass flight chamber, friends and family can cheer you on, and just like real skydiving, commemorative photos and videos are available for purchase. Experience completely revolutionary spaces that transform from day to night. Relax with a book at Two70°SM and come back at night for a spectacular aerial show. 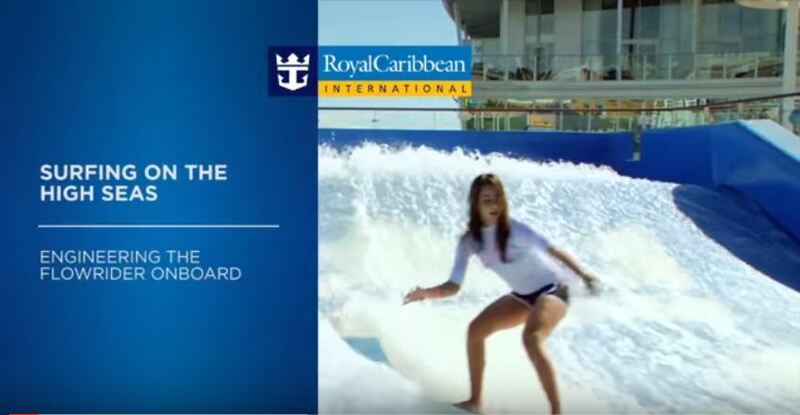 Only Royal Caribbean gives you the chance to catch a wave here on board. Grab a board and hang ten on our 12 metre-long (40-feet) surf simulator, or cheer on friends from stadium seating with prime wipeout views. Give it a go – it's included in the cost of your cruise, no reservation required. Want to refine your FlowRider skills? Try a private lesson for a nominal charge. Royal Caribbean International’s Quantum-class ships are the first cruise ships to feature renowned chef Jamie Oliver’s first restaurant at sea. 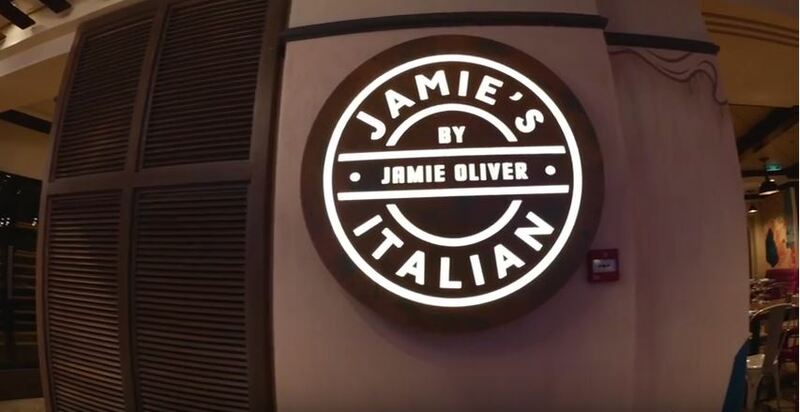 The addition of Jamie’s Italian to the restaurant portfolio aboard Quantum of the Seas and Anthem of the Seas reflects the company’s new vision of dining at sea. The Quantum-class ships introduced expanded restaurant concepts to exceed the expectations of today’s food-conscious traveler. Modern, distinct eateries, such as Jamie’s Italian are a focal point of the smaller, more diverse and more personalized dining options giving guests flexibility and control to shape their own culinary journey. f you enjoy gourmet fare paired with the finest of wines, than dining at Chef’s Table is an absolute must. Located in an intimate, exclusive enclave within Chops Grille, this private epicurean experience for up to 16 people treats you to a five-course, upgraded steakhouse menu and wine tasting. Dinner at Chef’s Table is both experiential and educational, as the Chef de Cuisine specially prepares and presents each course, while explaining its cooking techniques, ingredients and flavors. Then a sommelier pairs every course with wine chosen to enhance your enjoyment of the dish. Showcasing the very best of our culinary offerings, this is a once-in-a-lifetime dining opportunity. American Icon Grill is a take on the classic American road trip, pulling together best-loved regional favorites into one comfort-style menu. Weave your way through a vibrant tapestry of pan-Asian flavours as diverse and nuanced as the Far East itself. Every tapestry tells a story – and this one brings together the greatest characters in the history of exotic cuisine. Like turmeric, cumin and red chilli in a slow-cooked lamb curry. The height of contemporary cuisine is realised at Chic, where the freshest ingredients of the wild are evolved for a modern palate. Proteins that pack a punch – beef rib eye, lamb chops, Mediterranean sea bass – are treated to the delicate drizzle of sauces made from scratch. The Grande is a luxuriant nod to a bygone era. When dining was not a task, but a time-honoured ritual. When you dressed up for a date with an unforgettable dish. At The Grande, every night is formal night, and every night is a special occasion. Fuses Mediterranean influences with the unmatched riches of California's bountiful farmlands. This is a destination that exudes pure freshness. Our chefs twist their culinary kaleidoscopes to invent an elaborate dreamscape of never-before-seen fare. The story begins as you open the menu and find your element – Wind, Ice, Fire, Water, Earth and Dreams. Food and drink. It doesn’t have to be so complicated. That’s the philosophy at Michael’s GenuinePub, the first American gastropub at sea, brought to you by James Beard Award-winning chef, Michael Schwartz. As one of Royal Caribbean’s signature specialty restaurants, reservations are recommended for Chops Grille. Dress is smart casual. Cover charge includes your choice of delectable items from the menu, as well as gratuities. Founded on the belief that “everyone deserves a place where they can escape from today’s complicated world and experience the uncomplicated goodness of classic Americana”, Johnny Rockets has been serving up delicious American fare to diners around the world since 1986. Already a mainstay with Royal Caribbean, Johnny Rockets is now set to become a favorite on Quantum of the Seas and Anthem of the Seas. Its menu features fresh, never frozen, made-to-order hamburgers, sides, shakes and desserts. So, no matter where you are onboard or in the world, you’re always surrounded by good food and simple pleasures at Johnny Rockets. Devin Alexander, the best-selling author of eight cookbooks and celebrity chef on NBC’s The Biggest Loser, is bringing her unique approach to healthy cooking to Royal Caribbean’s Solarium Bistro on the Quantum Class. Her comfort food favorites cut the calories and fat but keep all the big flavor you love, all under 500 calories each. From stacked salads and starters to homemade entrees to decadent desserts, you’ll savor every morsel just like the real thing. A fresh and healthy dining healthy experience showcasing superior variety, quality and design, Solarium Bistro is one of Royal Caribbean’s nine specialty dining options onboard Quantum of the SeasSM and Anthem of the SeasSM. It is complimentary during breakfast, with lunch and dinner available for an additional charge. A global culinary pavilion that invites you to explore the world, dish by dish. It’s simply our best Windjammer ever. Enticing food islands weave throughout, showcasing international fare while mapping your way between new, interactive stations. Here, staff prepares signature specialties to your specs—like fresh-pressed paninis, juices blended before your eyes, and fluffy omelets. Plus a new 24-hour station, The Grill, with rotisserie chicken, Philly cheese steaks, all-day breakfast and more on a menu that changes daily. Chicago, Los Angeles, New York, Miami, Austin, Portland, and San Francisco: all cities that are renowned for their hugely popular and innovative food truck scene. 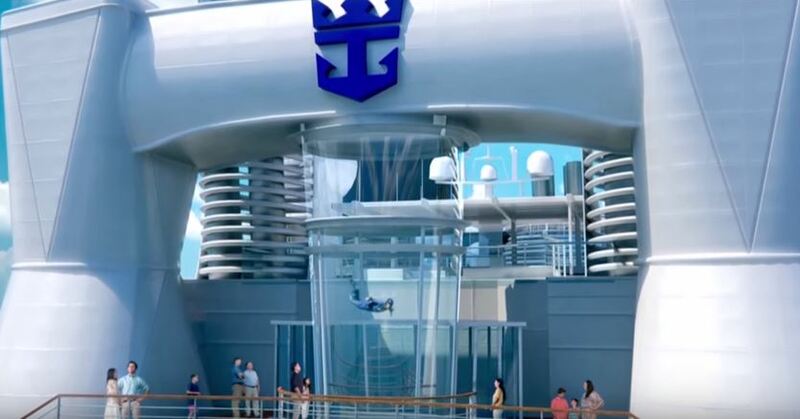 Well, the food truck phenomenon is about to come to the Caribbean—Royal Caribbean, that is. 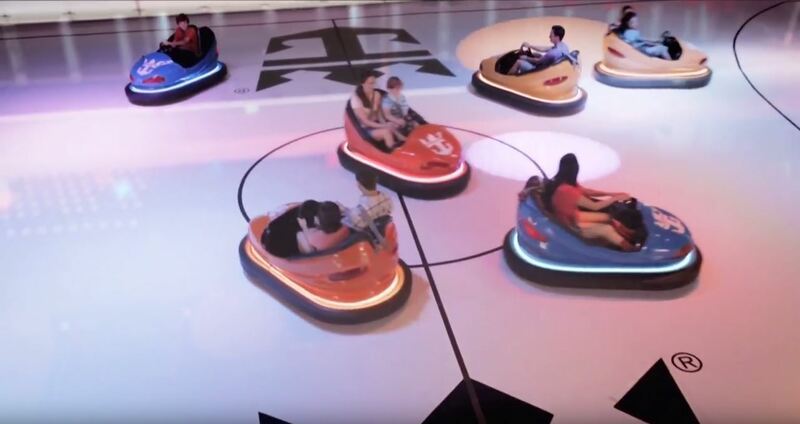 Welcome to SeaPlex Doghouse, where the first-ever food truck at sea serves up gourmet hot dogs for all to enjoy in the SeaPlex, the largest indoor active space at sea. With a wide menu of delicious sausages and hot dogs that span the globe in origin and flavor—plus a variety of tasty condiments, sides and salads—this is one Doghouse where you’d much rather be in than out! The Café @ Two70 is a gourmet marketplace that lets you pick the view. Choose from a variety of savory hot-pressed sandwiches, salads custom-made to your liking, homemade soups and more. Looking for an authentic New York pizzeria experience…at sea? Then head to Sorrento's for fully loaded pies right out of the oven. Try a different creation every day—from chorizo to Hawaiian to Pizza Florentine, with classic cheese and pepperoni always on call—or have one custom made with your favorite ingredients. From sushi to sashimi and tableside cooking preparation, Royal Caribbean’s Izumi offers guests an exotic Asian-inspired dining experience. This popular Japanese-focused restaurant first made its debut onboard the Oasis-class ships, but has now been updated with an energetic new design. At Izumi you’ll enjoy a wide variety of hot and cold appetizers, entrees, desserts and more, all made-to-order with intense flavors, the best ingredients and impeccable presentation. Now that’s fresh.